I came to Kenya as a refugee, still reeling from the pain of loss. It was then that a personal friend in Liberia named Elizabeth Sumwabe died giving birth due to lack of care available to her as a refugee. For me this was the straw that broke the camel’s back. After losing all my earthly possessions, the death of a friend was the ultimate loss. I felt helpless; a life that could have been saved was snuffed out. While I could not bring back the life of my friend, I realized that I could reach out to refugee mothers around me. Even if I was only able to help one or two, at least I would be doing something to alleviate their suffering. It was then that I put my entrepreneurial gifts and my passion for peace together to establish Amani ya Juu. As I explained in my November 1 posting, my holiday gift to you would be brief stories about remarkable women who are making a difference. In my final 2011 posting, I want to share the gift of faith and fashion by telling you about Becky Chinchen and Hannah Lenore Sanford. The opening quote clearly illustrates stresses that Becky faced living in this fallen world. However in the midst of her distress, God gave her the vision to create Amani ya Juu (higher peace), a sewing and reconciliation project for marginalized women. God used the angst in Becky’s world to create an organization that demonstrates His grace and mercy while equipping women. God has promised all of us that even when our troubles seem overwhelming that He can use them for good. Becky and her husband, Dr. Del Chinchen – ABC University’s president, fled Liberia with their family during the civil war. They can tell you some hair-raising stories, including Becky having a gun held to her head. From Liberia they fled to the U.S. and then felt called to move to Kenya. Becky never thought that she would return to Liberia, especially since she and Del had such a wonderful and fulfilling life in Kenya. Yet God, once again, had another plan for them and directed them back to Yekepa, Liberia to rebuild the decimated ABCU campus. When Becky returned there was no electricity, no running water, and jungle growth had overtaken the campus. Yet, just as God led her to start Amani, He helped Becky and Del raise ABCU up from the destruction of war. ABC University is now a vibrant campus with an ongoing expansion plan. The first graduating class, since the rebuilding of the campus, will be this May. Becky is busy serving as ABCU’s campus administrator while continuing to oversee Amani, which has now expanded to several countries in Africa. With the help of her daughter, Jo, and other young professionals, the newest Amani addition ~ Amani Liberia ~ has just been launched. Becky has the knack of picking resourceful young Christian women to help her run Amani. 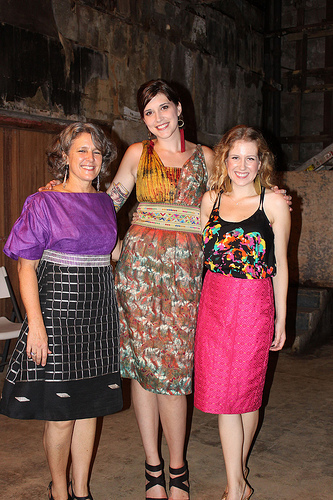 One of these young professionals is Hannah Lenore Sanford whose insigna on her website is “fashion designer and missionary.” What a powerful statement of how God uses a person’s talents to serve His needs. Hannah Lenore uses her incredible ability of design to raise money so that she can serve women through Amani. Hannah looks the part of a fashion designer. She is a tall, slender young woman who wears clothes well and knows how to accent them with just the right accessories. She has great artistic flare and not only designs wonderful clothes, but is a great photographer. She often takes a picture, transposes it on a canvas and makes the most beautiful piece of art out of fabric. I can’t do it justice with my explanation, but the fabric artwork is beautiful and from only a few feet away the picture looks like a painting. I was blessed to be Hannah’s housemate when I was in Liberia this fall. 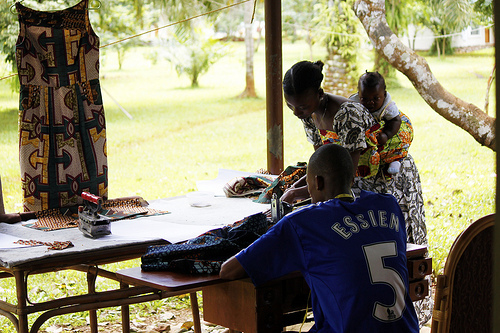 I felt like I was living at “Project Runway.” Our living room was used as one of the main production rooms where Hannah designed, drafted patterns, sized, and trained local women for Amani Liberia. 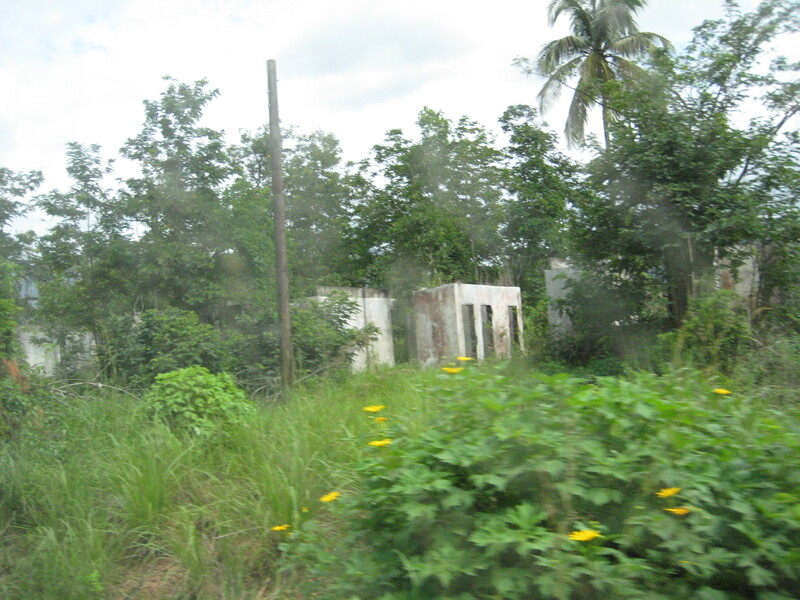 Hannah not only is the main designer, she also has been working on the remodeling of the new Amani Liberia building. For the last few months, the sewing for Amani Liberia has taken place on the patio slabs behind Becky’s house and house #2 where Hannah Lenore and I lived. 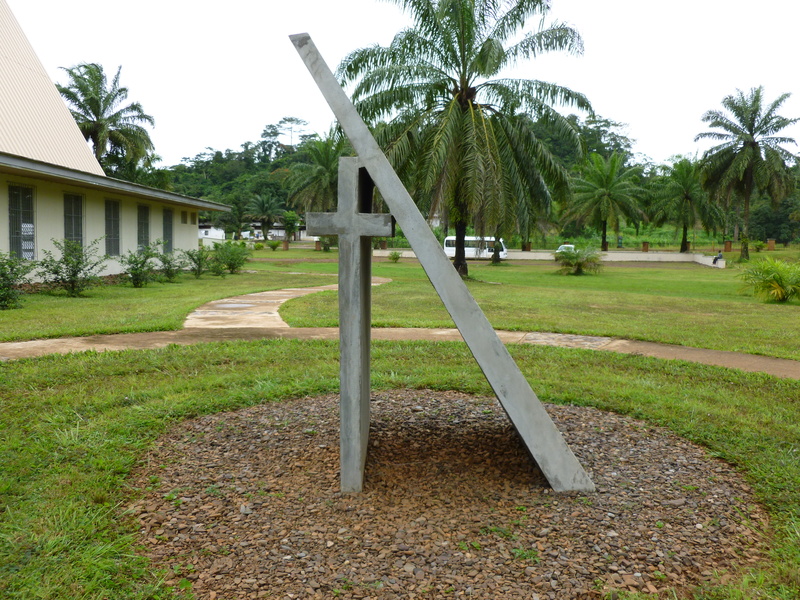 By the first of 2012, Amani Liberia will be moved into its newly renovated building. I must confess being in the midst of all this design has paid off well for me. I am now the proud owner of a HANNAH LENORE designed skirt and two of the first garments (a dress and a skirt) that were produced by Amani Liberia. To read more about and shop online at Amani Liberia or Amani Africa and HANNAH LENORE, just click on the names. Be assured that the online shopping will help support marginalized African women working at Amani and Hannah Lenore’s missionary service to these women. The websites also can be found to the right on my blog roll.